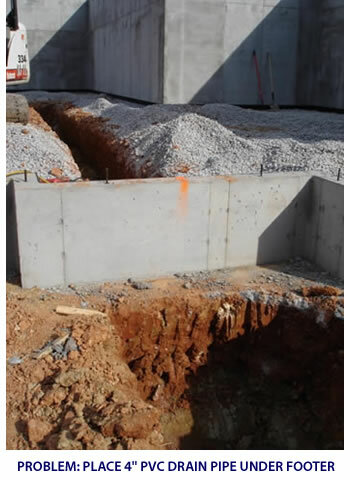 Our horizontal earth augers are designed to fit your heavy duty 1/2'' drill. That means your four hour job just turned into minutes. 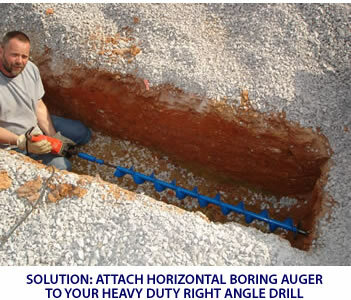 Simply attach one or more sections of auger bit to your drill and begin drilling in low speed. What used to take hours to dig by hand is now accomplished in minutes. Auger bits available in 3.25 inch diameter, 4.75 inch diameter or 5.75 inch diameter. 5 foot length or 7 foot length. "I received my auger just in time to begin work on a job I have. It is fantastic! Saved me hours of digging or trying to use water pressure to blow out a hole. This is an awesome product and I will recommend it to others that are interested."